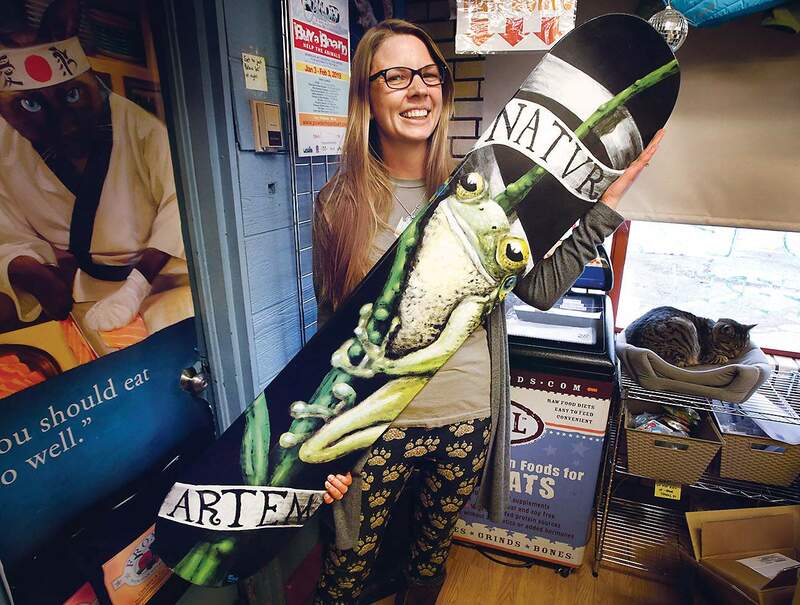 Sarah Guinther with Pet Haus holds one of 16 snowboards that have been painted by local artists for the Powder Hounds Art Auction, a fundraiser for the La Plata County Humane Society. 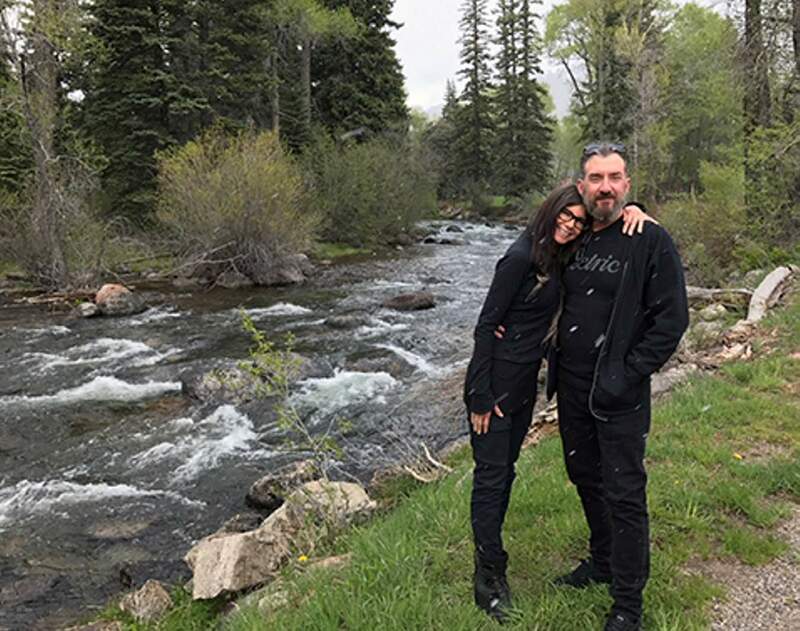 Local artists Wendy Niziol and Ray Phillips had recently visited the La Plata County Humane Society when they had an idea: The dogs at the shelter looked so sad, they said; maybe they could have an art auction to raise money to help the hapless creatures. When the two got home, they sat down on the couch and looked at their wall. There hung hand-painted skateboards from an artist in Houston. The couple thought it would be cool to do something similar in Durango, but snowboards seemed more appropriate, Niziol said. And instead of doing all the work themselves, they decided enlist other artists in the community. And thus the Powder Hounds Art Auction was born. Niziol and Phillips started reaching out to people in their neighborhood north of Vallecito, asking their neighbors if they knew any artists who would be interested in designing a snowboard as a piece of artwork. At first, they thought it’d be hard to find volunteers, but it turned out to be no problem. The couple found about 30 artists who said they would be interested in the project, and 15 of them signed on. Wendy Niziol and Ray Phillips started Powder Hounds Art Auction to benefit the La Plata County Humane Society. The artworks are now on display around Durango, including at the La Plata County Humane Society, Riverview Animal Hospital, Ska Brewing, Durango Harley Davidson, Durango Roasters, the Ski Barn, Purgatory Sports, the Durango & Silverton Narrow Gauge Railroad, Pet Haus and Upper East Side Liquors. Anyone interested in bidding on a snowboard – which is designed for display, not riding – can visit www.powderhoundsart.com. The starting bid for all boards is $100 and 100 percent of the proceeds go to the La Plata County Humane Society. Bidding is open until noon Feb. 3.